Guards with wicker shields, outside the State Assembly. 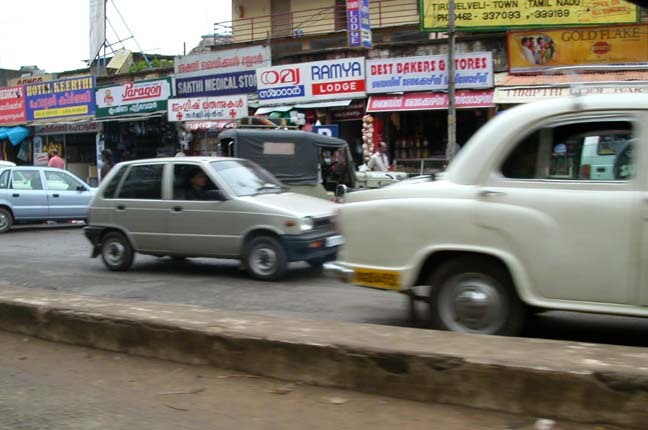 A traffic jam in downtown Trivandrum. Still in the traffic jam. 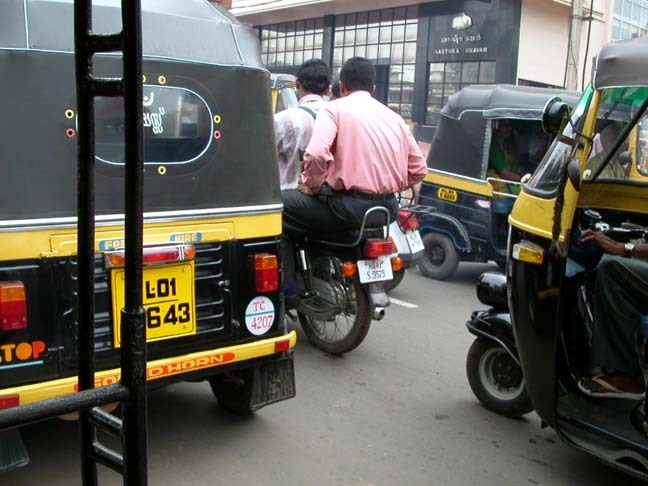 Motorcycles typically seat two or three. The monsoon arrives at last! This was made with two pictures I stuck together with the free "PanoramaMaker" program that came with my camera, because why not. 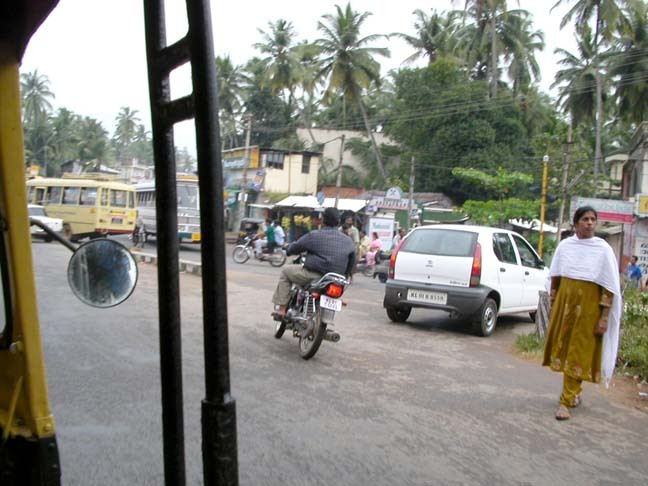 This picture captures a lot of Trivandrum for me: busses, motorcycles with multiple riders, lush greenery and palm trees, a woman wearing a Salwar Kameez, and an auto-rickshaw (from which this photo was taken). 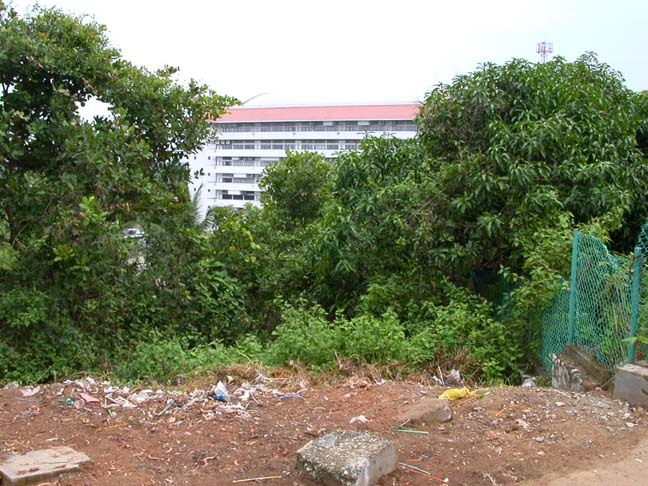 Another very typical view of Trivandrum. 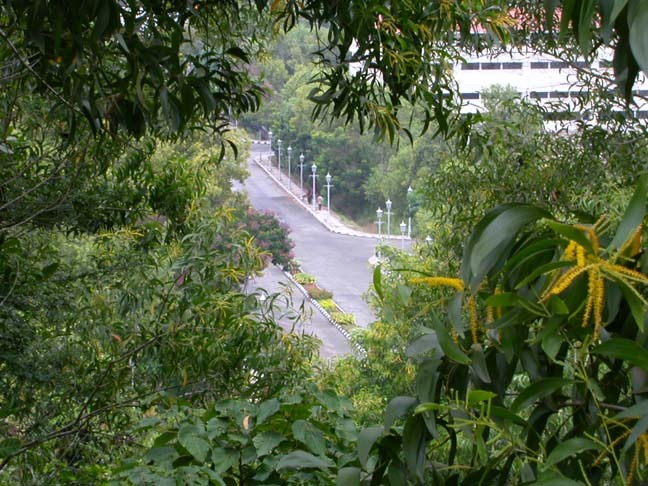 At last we reach our destination: Technopark, "The Greenest Electronics Technopolis In The World." Dan took this from a very flattering angle. You can almost see the unicorns and fairies frolicking outside the margins. Another view of Technopark: The Nila Building, photographed by yours truly, whom Dan once called "the Poetess of Blight."